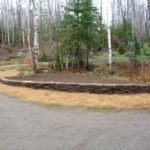 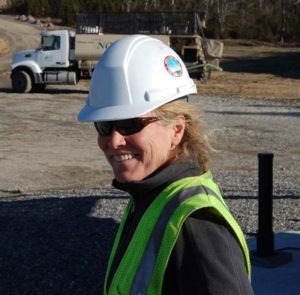 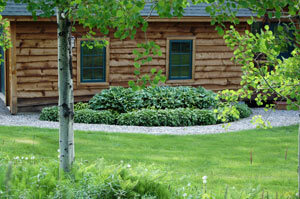 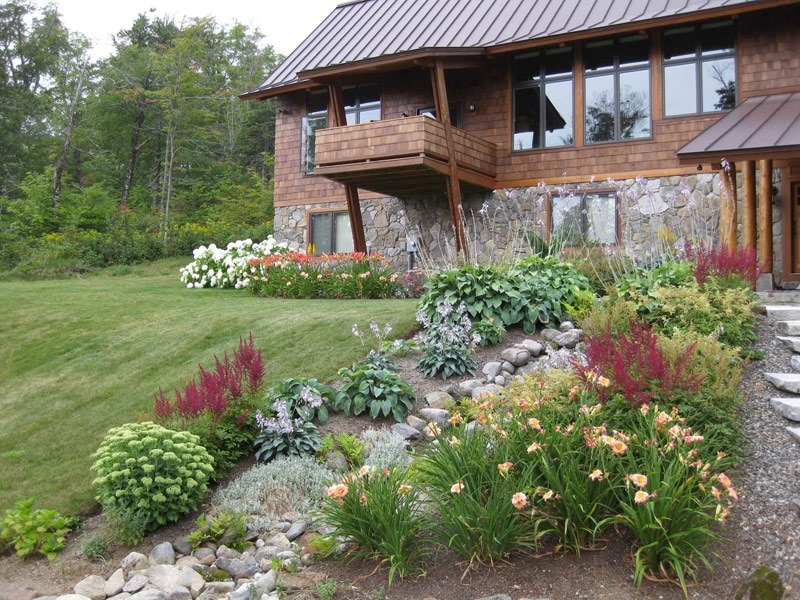 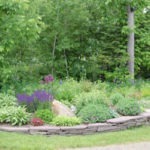 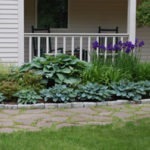 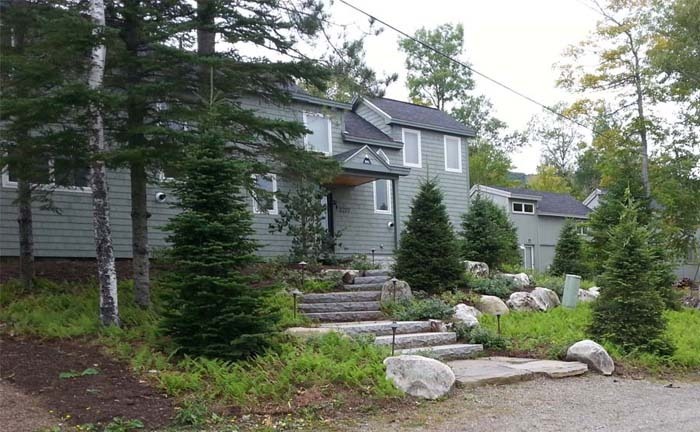 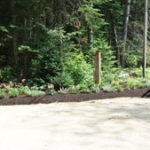 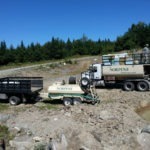 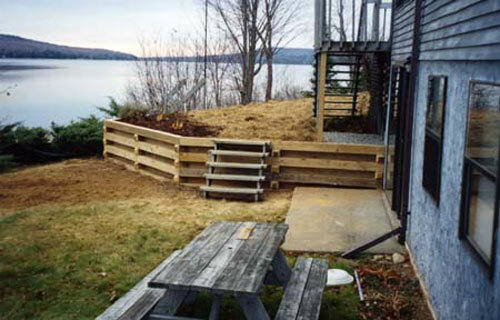 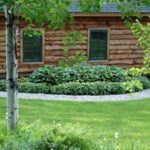 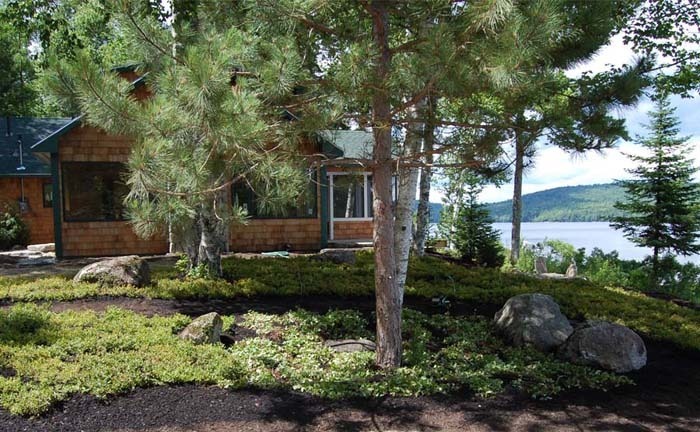 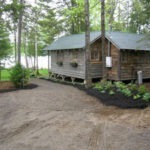 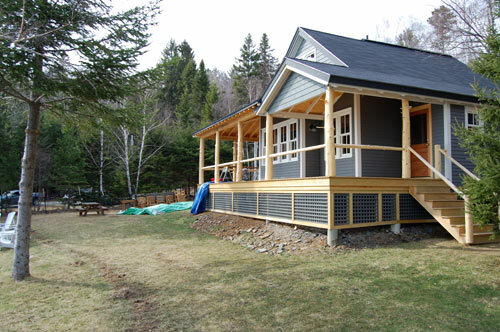 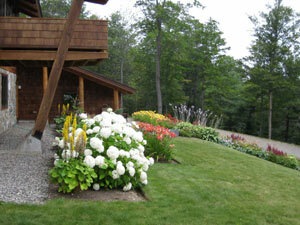 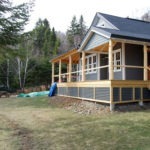 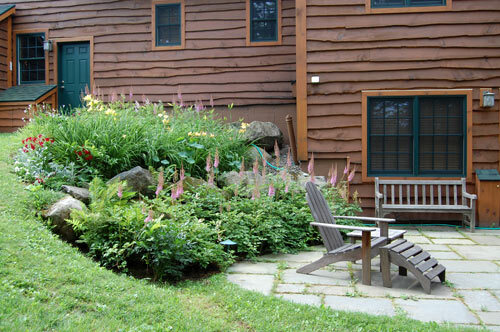 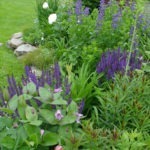 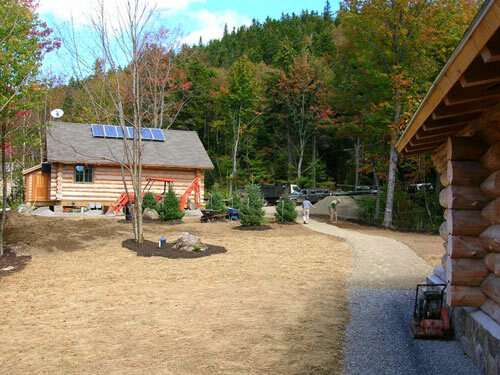 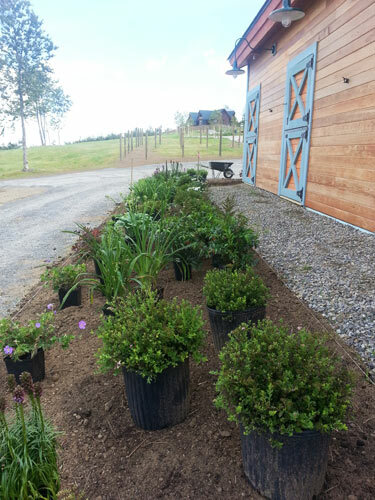 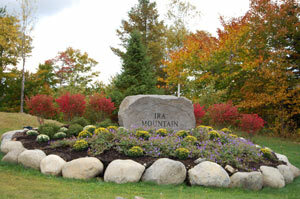 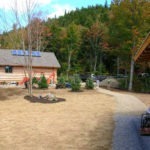 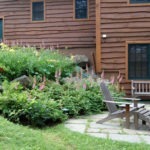 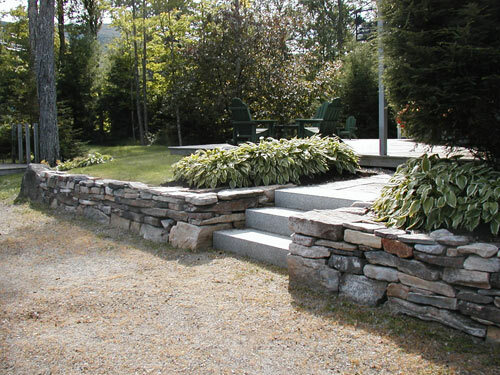 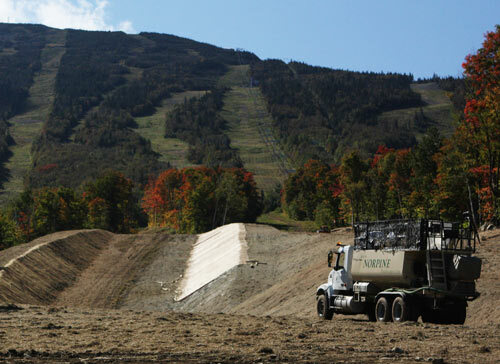 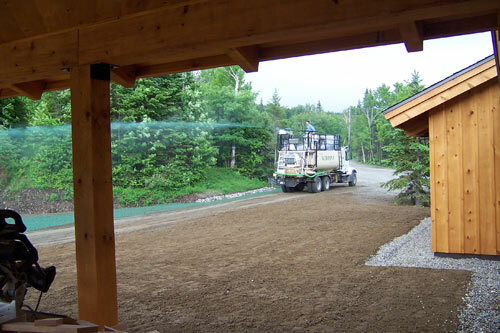 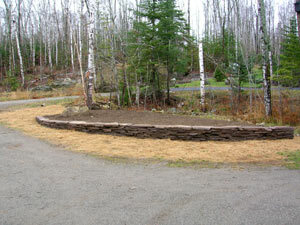 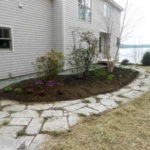 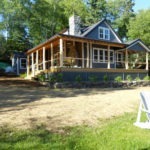 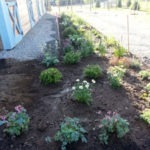 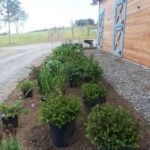 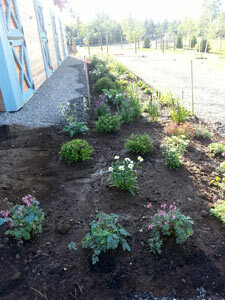 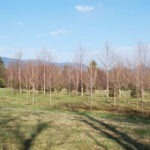 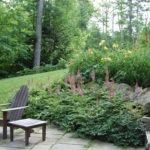 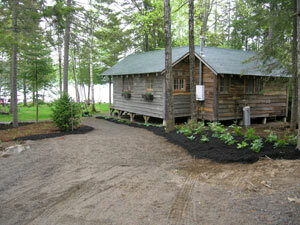 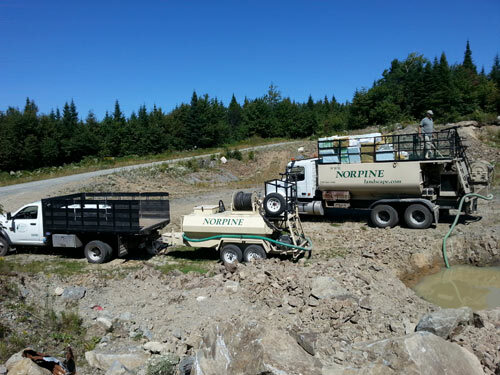 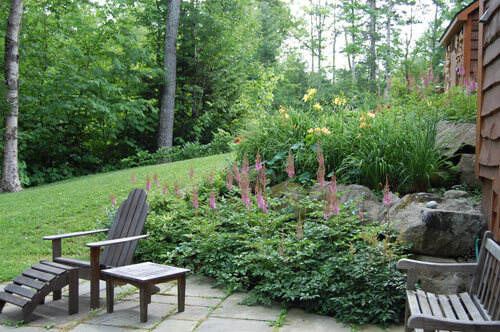 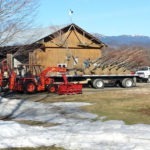 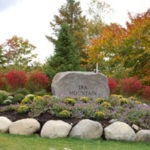 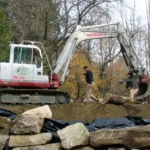 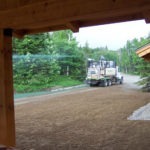 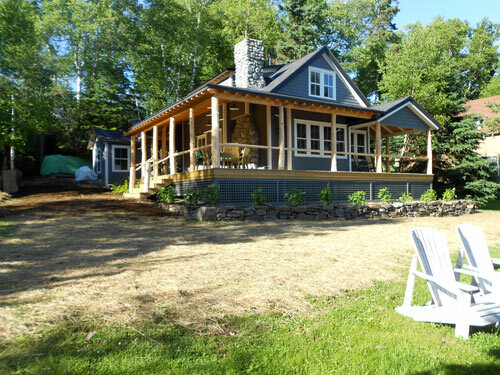 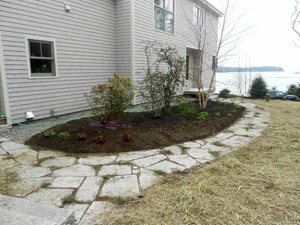 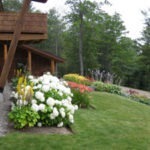 We are an owner-operated, full service, design-build landscape contractor, successfully serving Maine for over 35 years. 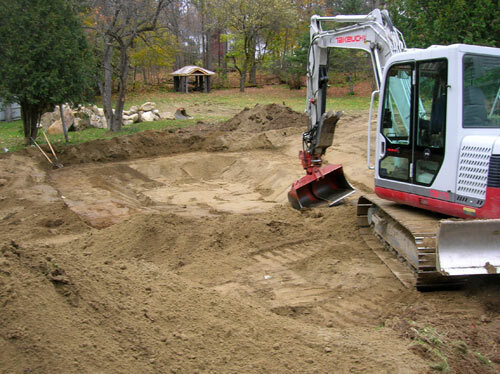 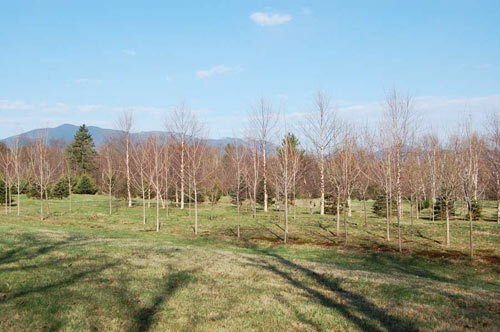 …to create that one of a kind landscape that will be the envy of your neighborhood! 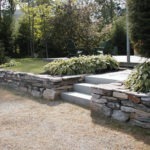 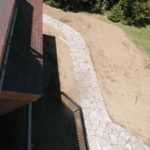 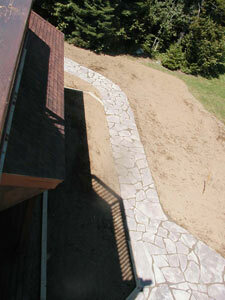 Hardscaping: patios, walkways, walls, fireplaces. 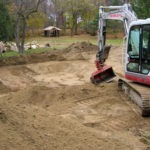 Excavation and fine grading work. 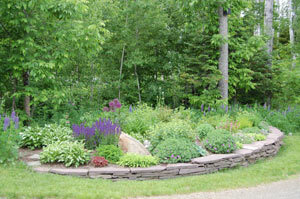 Lawns constructed, naturalized plantings that frame your yard; how about a wildlife pond? 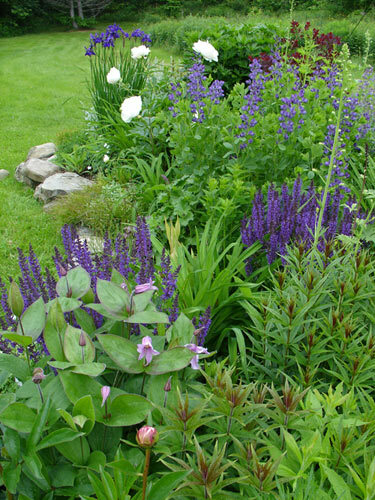 Focused horticultural plantings that highlight your home, attract wildlife, provide seasonal interest. 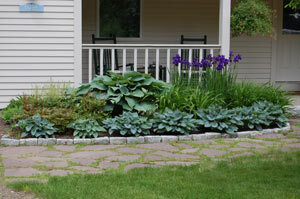 Compiled plant orders for your project. 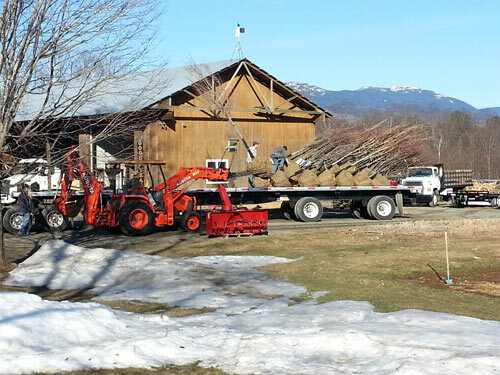 We know the best growers, offer competitive pricing, and we can deliver right to your home or project site. 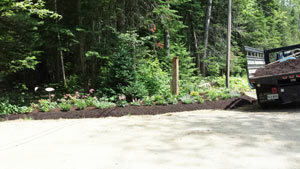 ** call or email for current pricing of our services. 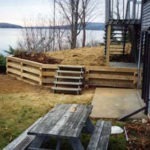 We would be happy to quote this to you on a project basis. 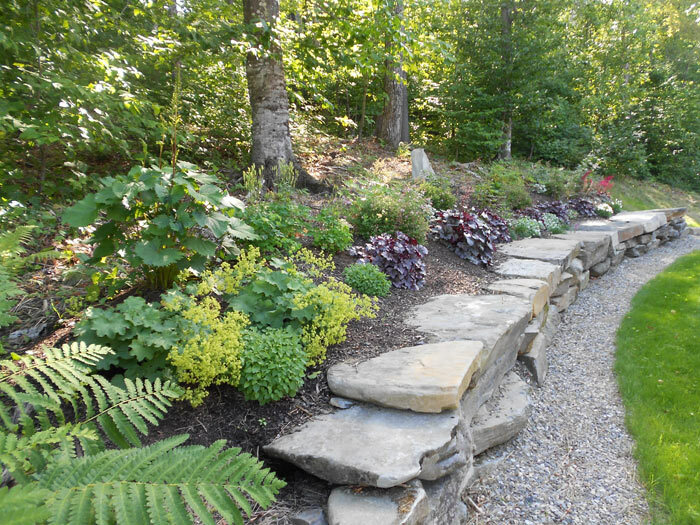 Betty Ann brings extensive horticultural knowledge and has a great ‘eye for design’ to produce many successful landscape plans for all budgets and tastes. 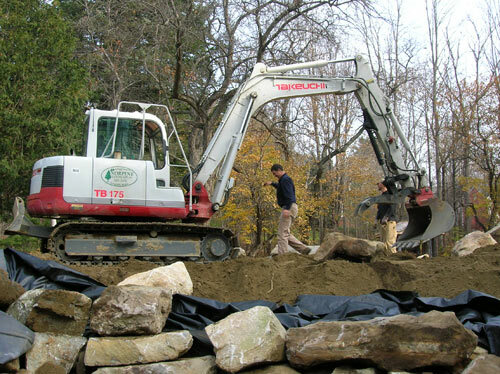 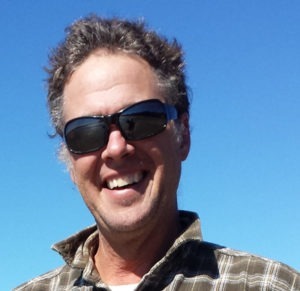 Jim’s extensive construction knowledge, equipment operation, and fine grading expertise, can bring your design to life for years of enjoyment.